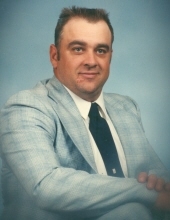 Elvin Cale Coffman, 60 of Hume, Missouri passed away March 21, 2019 at St. Luke’s Hospital in Kansas City, Missouri. Funeral services will be at 2:00 PM Monday, March 25, 2019 at the Rich Hill Baptist Church in Rich Hill, Missouri with Pastor Vernon West officiating. Visitation will be prior to services from 1-2 PM also at the church. Burial will follow services in Lawrence Cemetery near Hume, Missouri. Memorial contributions are suggested to the Rich Hill Baptist Church. Messages and memories for the family may be left at www.mullinaxfuneralhome.com. Elvin was born February 2, 1959 in Nevada, Missouri son of James Buckie and Wilma Lorene (Andrews) Coffman. He graduated from Hume High School in 1977. Over the course of his life Elvin was united in marriage to Becky (Holt) Bumpus, Sandra (Perdue) Coffman, and Charie Bennett. During his high school years, Elvin enjoyed playing basketball, baseball and horseback riding with his brother Mark, and later enjoyed tractor pulls, gardening, hunting, fishing, hauling hay, playing card games, and spending time with his children and grandchildren. He especially enjoyed his family being together. Elvin was preceded in death by his paternal grandparents, John Melvin and Pearl Coffman; maternal grandparents William Ersel Andrews and Valta M. Brooks; brother John Mark Coffman; sons Aaron Cale Coffman and Michael James Coffman; great-aunt Mearl Moseley; and granddaughter Kayla Anne Novovesky. He is survived by his parents James Buckie and Wilma Lorene Coffman; sister Cindy Renee Willey and husband Robert, and their children Lyndsey Nicole, Sabrina Lee West and husband Gabe, and Mark Camreon; daughter Julie Anne Novovesky and her children Dylan Cale and Bailey Ruth; daughter Meredith Charity Coffman and her daughter Haley Dawn Houghton; daughter Amanda Dawn Jackson and husband Josh and their children Peyton Cole, Brayden Blayne, Kelsey Dawn and Reid Matthew; and Michael’s children, grandsons Tyler Lucas, Trevor Lee and Trenton Lane Coffman. He also leaves behind many other aunts, uncles and cousins. To send flowers or a remembrance gift to the family of Elvin C. Coffman, please visit our Tribute Store. "Email Address" would like to share the life celebration of Elvin C. Coffman. Click on the "link" to go to share a favorite memory or leave a condolence message for the family.